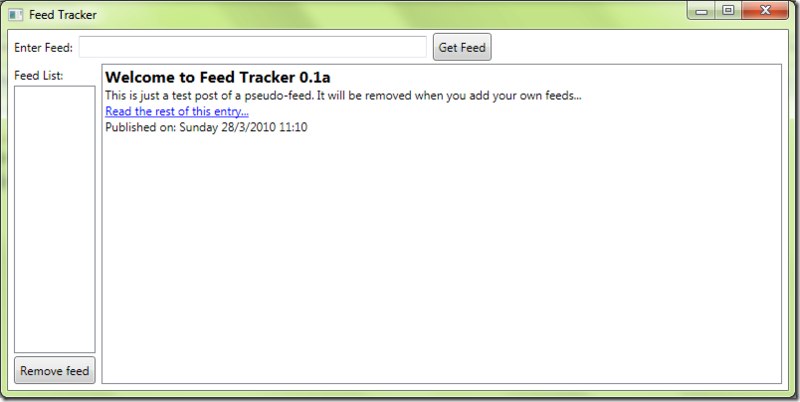 Introducing Feed Tracker, my first WPF application. Feed tracker let’s you track your RSS 2.0 and Atom 1.0 feeds. Just add your feed and stay updated. Can read RSS 2.0 and Atom 1.0 feeds. 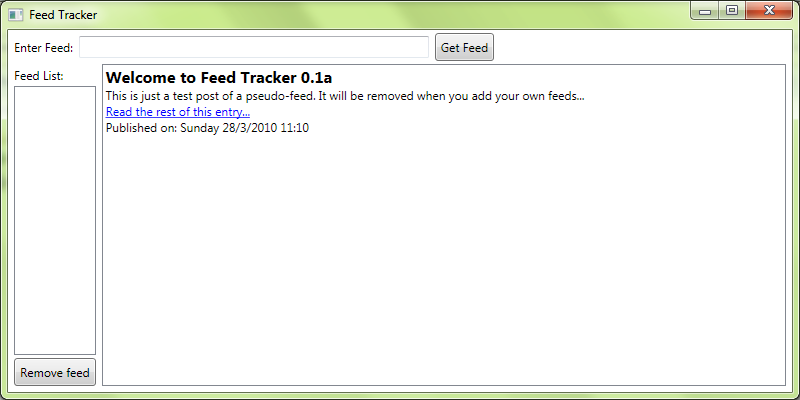 You can get Feed Tracker to install via ClickOnce here. Can’t wait for some feedback.